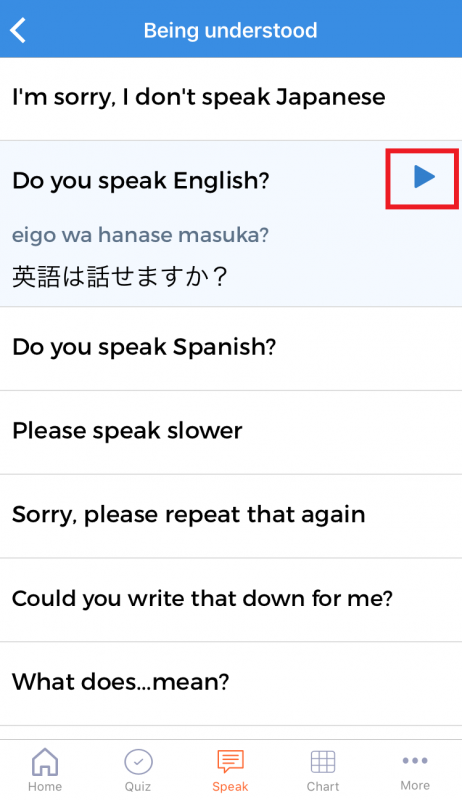 You can study useful phrases and sayings. 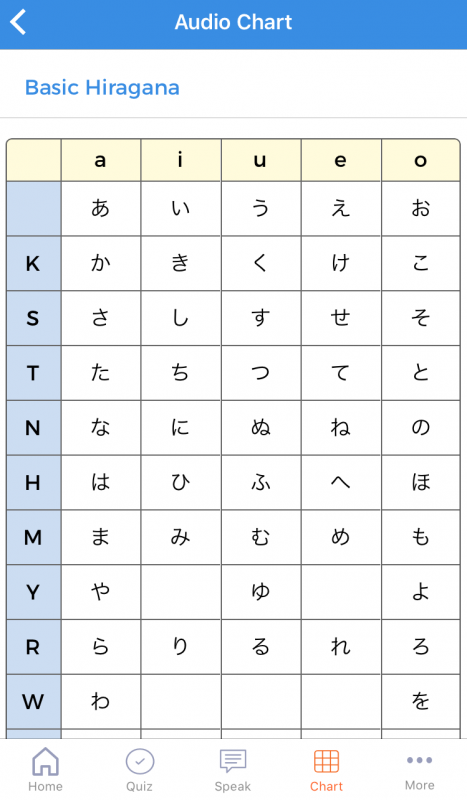 There are pictures that work as hints for remembering kana. 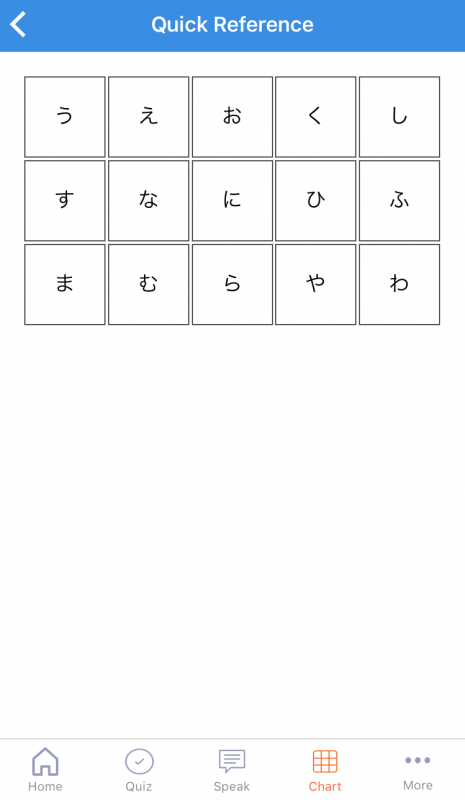 You can view cute illustrations and helpful hints for memorizing the kana. 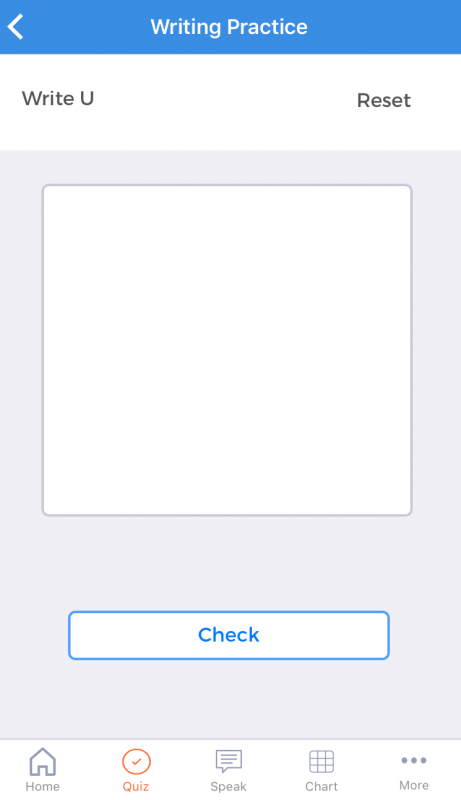 You can choose Manual Play or Auto Play. 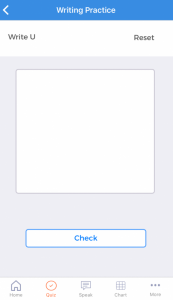 Screen after choosing Manual Play. Tapping the icon on the upper right allows you to listen to the audio. By tapping on the icon on the upper left, you can see an animation of the stroke order. 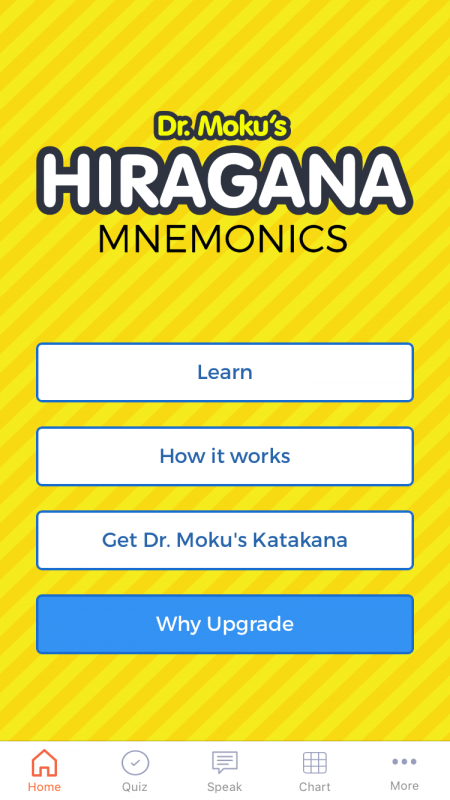 If you tap on the icon on the upper left again, you will be taken back to the previous page. 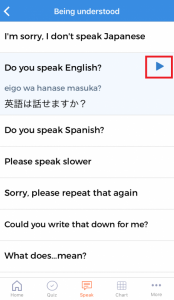 Next tap "Speak" from the menu bar. It will divide into The Essentials and Express Yourself. 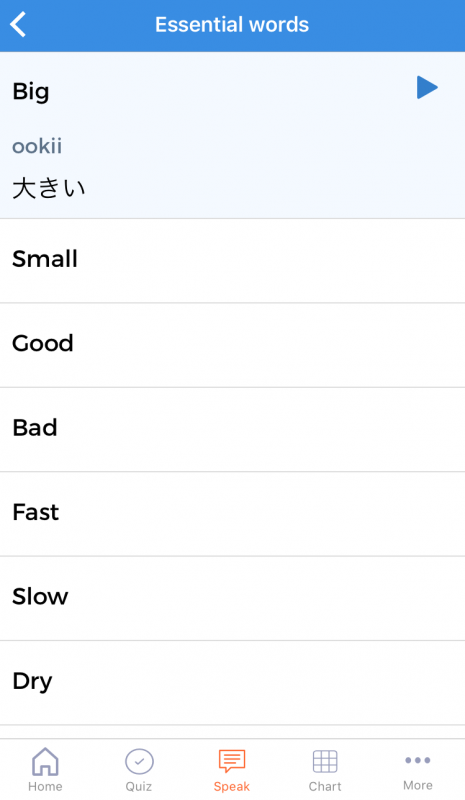 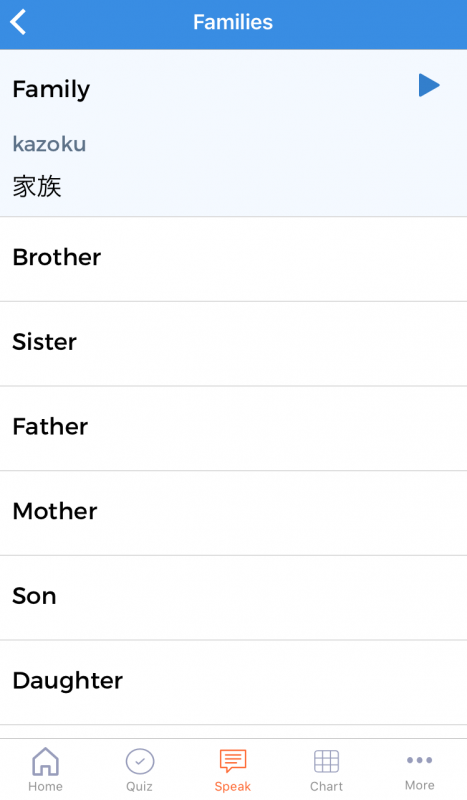 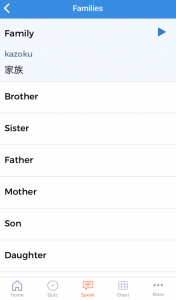 In each of the categories, there are phrases and vocabulary that, when tapped, will take you to a screen to view the Japanese (mixed kanji and kana, or romaji). 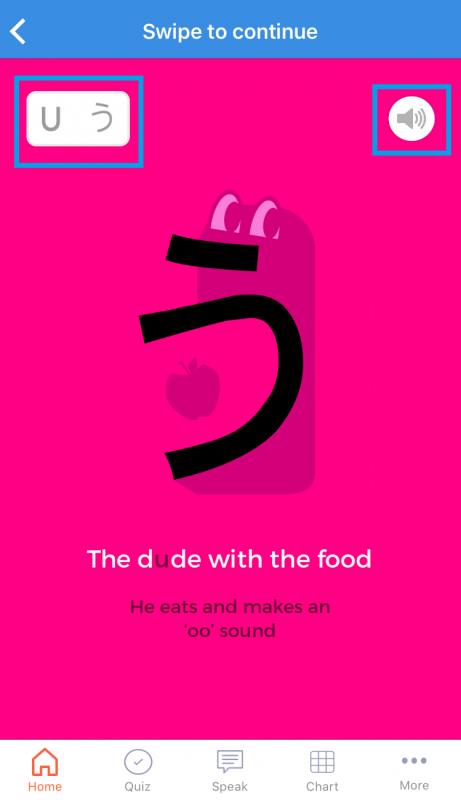 By tapping the play button, you can hear the pronunciation. 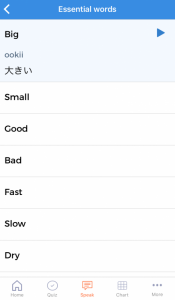 "Quiz" on the menu bar has three contents: Reading, where you choose the way it's read, Listening, where you choose the hiragana for what you hear, and Writing, where you write the hiragana for the romaji you see. 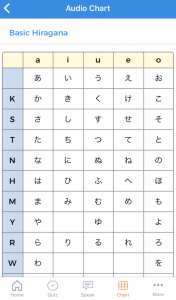 Quick Reference under "Chart" in the menu bar has a table describing 15 hiragana. 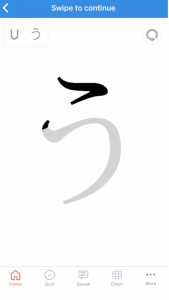 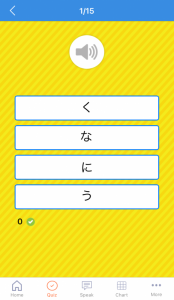 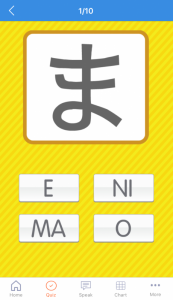 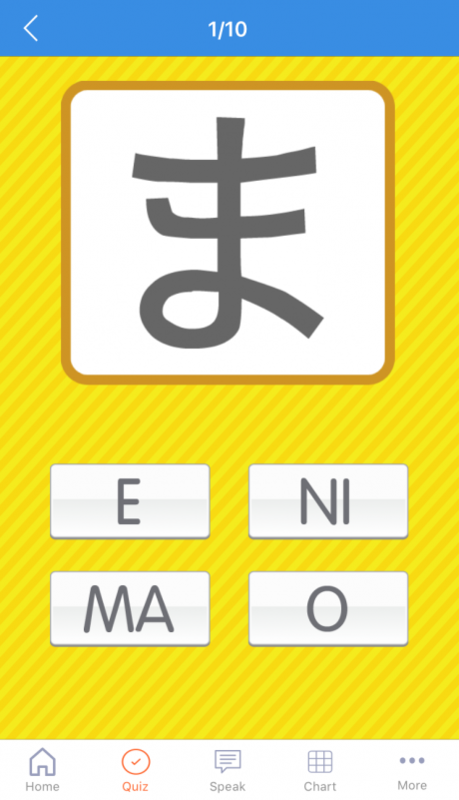 Click the hiragana to go to Manual Play in "Learn". 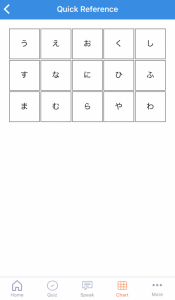 The Audio Chart shows hiragana, including sonant marks (dakuten) and diphthongs.Tap the letter to hear the sound. 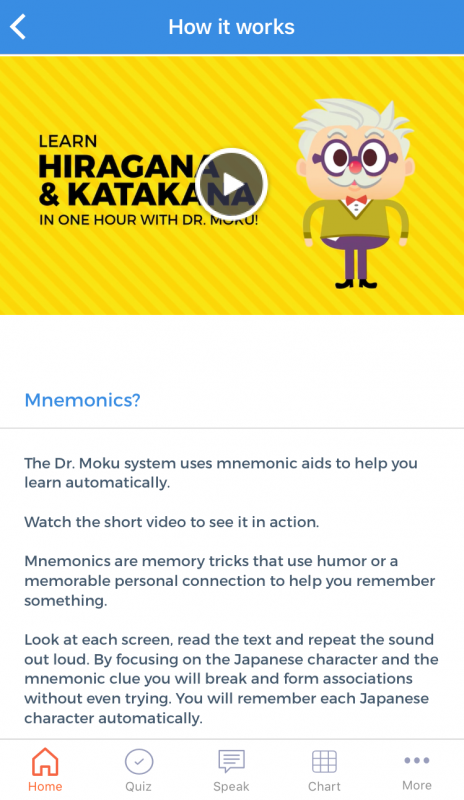 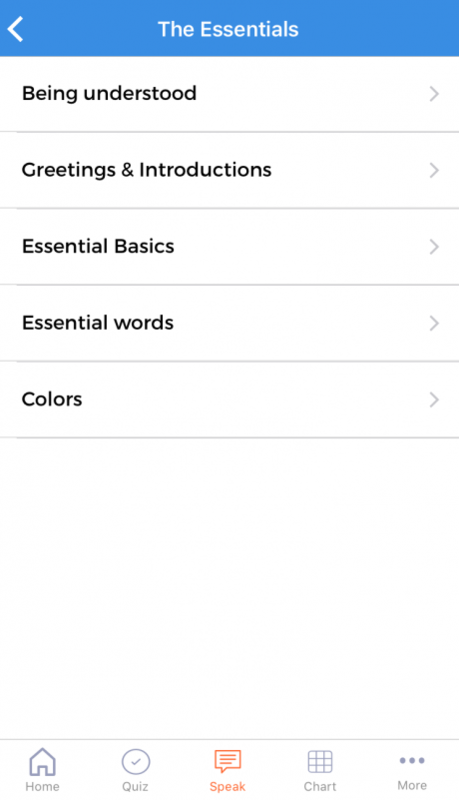 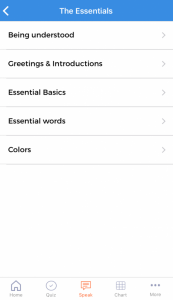 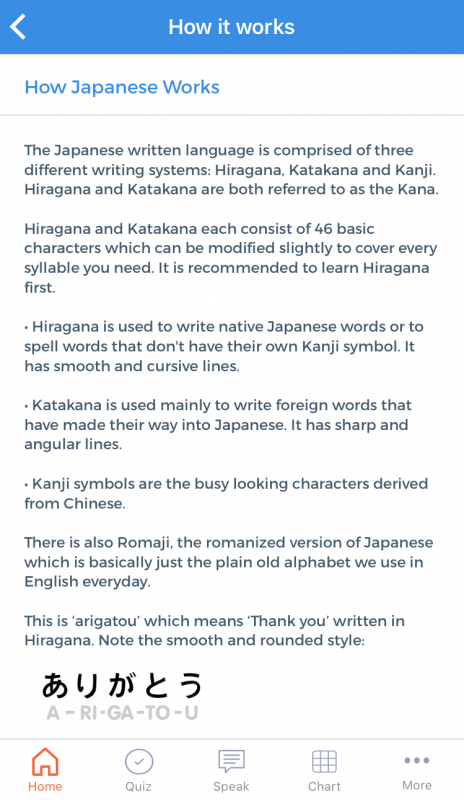 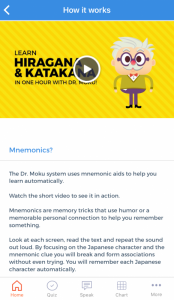 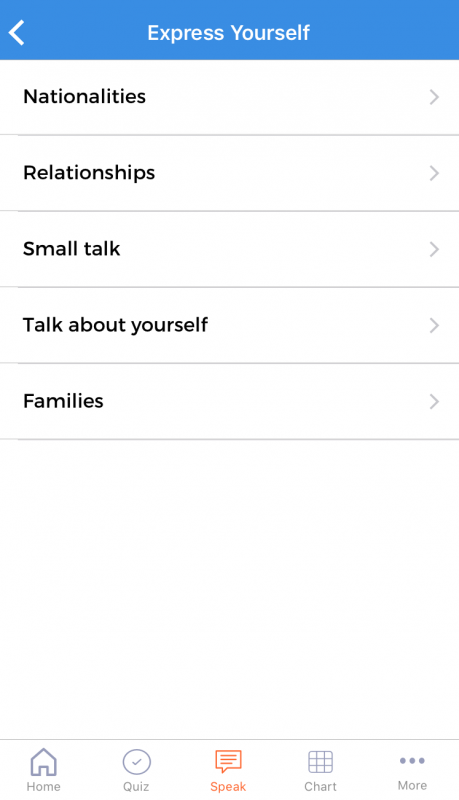 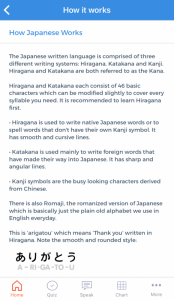 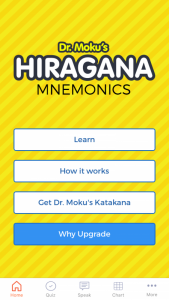 How it works on the Home screen explains simply about how to use the app and about hiragana.